Queenstown’s The Landing is drawing in two new businesses as the popular boutique retail centre continues to expand its offering. 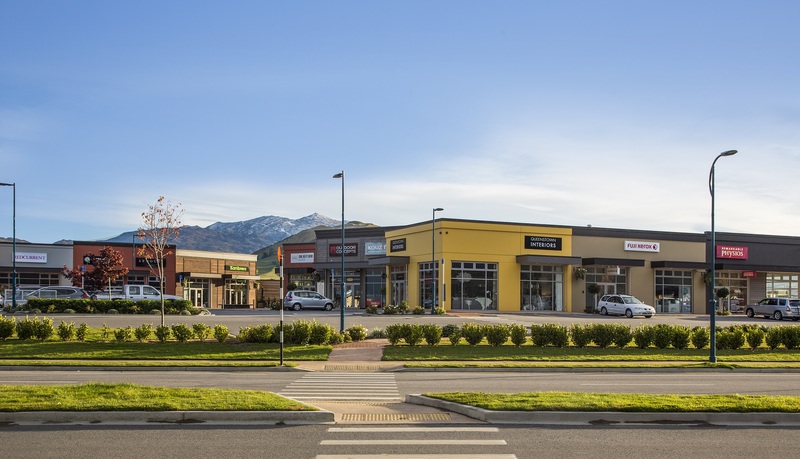 Located in the district’s retail hub of Frankton, close to Remarkables Park Town Centre, Wakatipu High School and Queenstown Airport, The Landing is home to a wide range of established businesses that appeal to local, regional and visitor markets. The two new businesses, EVE Beauty and Vū Jewellers, see moving to the Frankton area as a very positive move for their clientele. Growth is the focus for makeup artist Genevieve Silcock who moved to Queenstown from Auckland three years ago and established EVE Makeup Artistry as a mobile business servicing the wedding industry. With two makeup artists doing about 750 makeup services a year, the business has been running at full capacity for the past 18 months, so Genevieve is delighted to be opening the salon in mid-July with a bigger team offering a wider range of services. “We’re opening up in The Landing because it’s a fantastic location that’s popular with locals and is really well established, with plenty of free parking,” she says. “Currently a large percentage of our clients are brides travelling to Queenstown to get married, so we will continue the mobile service as many prefer us to come to them in the comfort of their accommodation on their big day. EVE Beauty will also stock a selection of makeup, skincare and beauty accessories previously lacking in the Queenstown retail space. Meanwhile, Vū Jewellers is set to open in September this year. Business owners Anna and Trond Johansson and Claire Antill are delighted to be launching a contemporary jewellery boutique at The Landing. Vū Jewellers will feature a full jewellery workshop instore to design, make and repair jewellery. As sister company to long-established Goldfields Jewellers in central Queenstown, the team will bring their artistic talents to bespoke handmade commissions using everything from precious metals and beautiful gemstones to funky silver jewellery. They delight in taking old, unused or inherited jewellery and turning it into unique modern designs. “We specialise in everything from modern takes on classic diamond rings to contemporary wearable art,” says Claire. Vū Jewellers will also offer valuations, repairs and full servicing for jewellery and watches. Other businesses at The Landing include the hugely successful Odelay Café and Zambrero restaurant offering excellent food and beverage, and a range of interiors, fashion, gift, beauty, automotive and fitness offerings. The surrounding Remarkables Park area continues to bring more people to the area thanks to the just completed 127-apartment Wyndham Garden Queenstown, the Toru Apartments (230 units) currently under construction and the new Ramada Kawarau River Hotel & Apartments to follow. 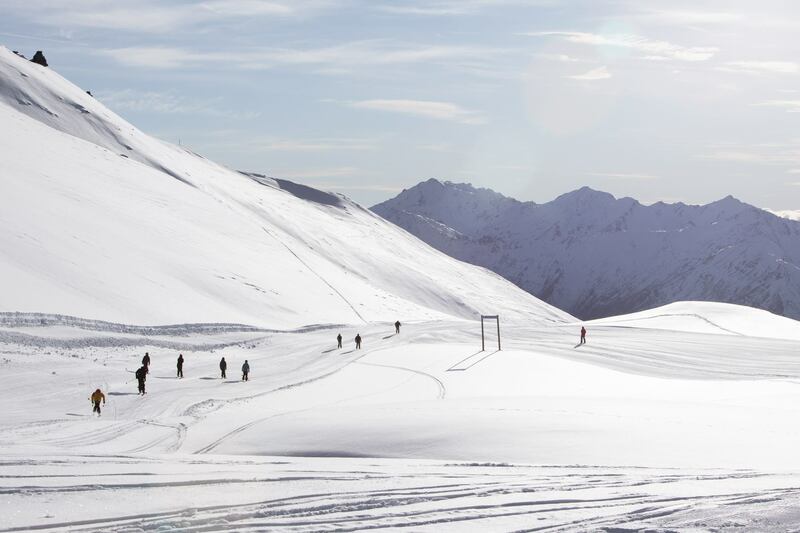 Keen skiers and snowboarders came from near and far to help Wanaka’s beloved Treble Cone ski area celebrate the start of winter today (Saturday June 23). Close to thirty riders arrived at the crack of dawn to ensure they were first on the Home Basin Express lift when the gates opened at 9am sharp. The hardiest six – Mike Handford, Macca Wills and Phil Masack from Wanaka, Hailey Neutgens and Paul Rumore from Montana (United States) and James Cootes from Twizel – were rewarded with distinctive red ‘First on the Chair’ T-shirts. Excited for the season ahead, Mike Handford was stoked to be on the first chair. “What a day to open! I’m looking forward to the bluebird day ahead and hanging out with the crew,” he says. And the wait was worth it, as earlybird riders were rewarded with a glorious sunrise and cool clear conditions over Treble Cone’s Home and Saddle Basins. The ski area opened five days early thanks to healthy pre-season snowfalls and General Manager Toby Arnott said staff were “pumped” to welcome their first guests of the season. “The atmosphere’s been amazing this morning and there was a real sense of celebration in the air as we enjoyed some free Amisfield bubbles and welcomed back our loyal season pass holders with breakfast rolls,” he says. “Anyone who’s ridden at TC over the years knows that this is an experience well worth waiting for, because as the largest ski area in the South Island we’ve got a massive 700m of vertical and some of the country’s longest groomed trails. “If you want to go out and play, there are backcountry areas still within the ski area boundaries that are a playground of open faces, natural half pipes and fun drops. TC’s opening has coincided with a cold snap that’s set to deliver a significant snowfall over the next two days. “We couldn’t hope for a better start to our season,” says Toby. All mountain facilities will operate from today onwards including rentals, lessons and a full F&B service with a new menu delighting hungry guests. 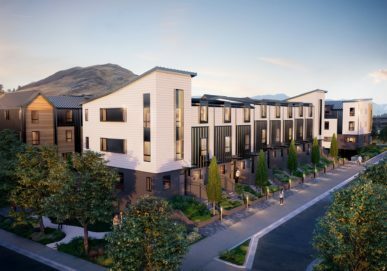 The property market in Queenstown is showing no signs of a slowdown, with the second stage of a $200m residential development being launched this week. The Remarkables Residences townhouse development in the popular Frankton area of Queenstown is launching another 46 homes onto the market, following the successful sell down of all but one of 56 Stage One homes. Stage One comprised three to five-bedroom multi-storey townhouses, offering buyers the chance to get their foot in the door of the Queenstown market for a competitive price. Construction is well underway on the first homes, with completion expected in summer 2019. Roughly half of the purchasers have been Queenstown locals who have bought as an investment property or to live in, while the remainder are a mix of Auckland based investors and holiday home owners. Local realtors Sheryl Williams and Mark Martin from Bayleys Queenstown said buyers saw superb value for money in the homes and loved the configurations of the properties that had flexible living and renting opportunities. Another 46 terraced homes are available in Stage Two, with prices ranging from just over $1.1million. The new release properties have slightly different layouts to Stage One, after designers took buyer feedback on board and made the majority of the homes four-bedroom properties with four ensuites. The development is being driven by GYP Properties Pte Ltd, a subsidiary of Singapore public-listed Global Yellow Pages Limited, and marketed by the Bayleys Realty Group. Bayleys Projects’ General Manager Suzie Wigglesworth said the company was “very pleased” with the successful sell down of Stage One and that construction was underway. “Remarkables Residences appeals greatly to owner occupiers as well as investors, with functional layouts and a location that provides convenience and accessibility,” she said. “The annual capital growth in Queenstown continues to rise and the demand for residential properties is still at an all-time high. “We believe Remarkables Residences offers what buyers are looking for, and its central location with the airport, major ski-fields, retail and dining all a walk or a short drive away makes it highly desirable. The development aims to have a vibrant community of owners from all walks of life, from owner-occupiers through to seasonal-based workers. Master-planned and designed by Auckland-based Ignite Architects, these are well-built, stylish and low-maintenance homes that are a very modern interpretation of popular developments of this kind. Different building forms within each street offer individuality amidst a community, while each residence is thoughtfully designed to optimise sun and natural light. Quality fixtures and fittings are used alongside energy-efficient design elements for year-round comfort. Green spaces incorporated in the development include a main public square and smaller Pocket Parks throughout the area. There are good links to surrounding biking and walking tracks, as well as easy access to public transport. Remarkables Residences is in one of the most accessible parts of Queenstown, close to the airport and a very short walk to retail and hospitality outlets. It is just 15 minutes from central Queenstown and Arrowtown, and 30 minutes to ski fields. 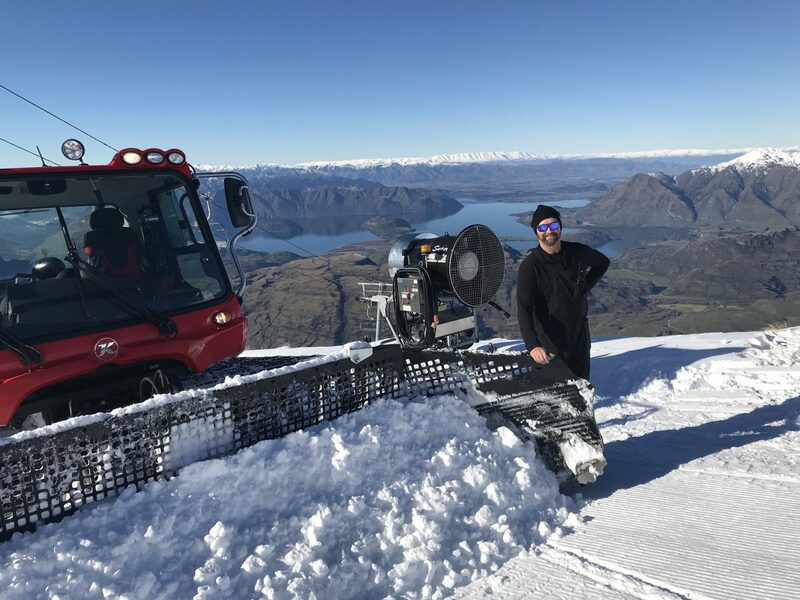 Crisp clear days and freezing cold nights have proved the perfect snowmaking cocktail for Wanaka’s Treble Cone ski area. A series of snowstorms that dumped just over a metre of snow in the Saddle Basin and on the upper mountain, and up to 50cm at the base, has been followed by a solid week of snowmaking. Working around the clock in two shifts, the Treble Cone snowmaking team has been flat out producing even more of the precious white stuff. The week’s snowmaking has seen 180 pump hours translate into 16.5 million litres of water blasting through snowguns scattered around the ski area’s Home Basin. The ski area’s new 380hp Pisten Bully’s along with two winch cats for steeper terrain have been put to work compacting the snow to form a superb base for the season to come. In the Saddle Basin, 1.2km of wind fencing has collected tonnes of natural snow that is being used to form trails. Treble Cone Field Operations Manager Dave Crotty, the ski area’s longest-serving staff member now on his 19th season, is in his element in the early snow. Having worked in the industry for 31 years, (he has worked every winter in NZ since 1987, including 25 seasons aboard), his experience in New Zealand and overseas is unparalleled. Dave has travelled all over the world, working in Asia, Europe and North America, with highlights including grooming and building World Cup and Olympic downhill race courses. “I grew up on the farm so I like driving machinery and I obviously love skiing,” he says. * Treble Cone ski area is scheduled to open for the 2018 season on June 28.